Make your trip even more memorable with our great value creature encounter. Creature encounters are available for up to 20 people per session. Your group is given the chance to experience a hands on session with different animals to choose from. 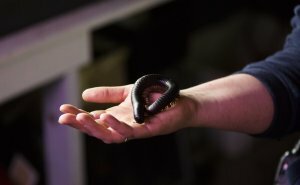 Our experienced team will provide informative talks and demonstrations with these creatures and provide an exciting opportunity for people to touch animals they never though they would!